Yeah, that’s quite a title shot, isn’t it? Anyway, this should need no introduction. 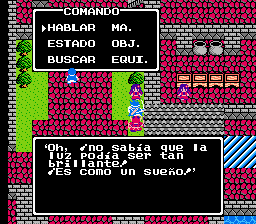 Everyone has played and loves Dragon Warrior 3, and this is the Japanese version of it. Unfortunately, it’s in Japanese. So that explains all the squiggly letters. OK I’m done. 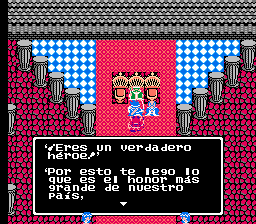 Full translation to Spanish for “Dragon Warrior III”, for the Nintendo Entertainment System. 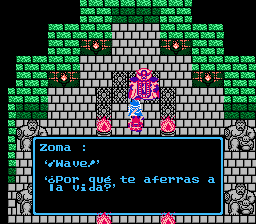 Adds Spanish letters/characters.